Kindful is a cloud-based donor management system with built in fundraising automation, online donation pages, and reporting tools. An open API allows nonprofits to easily connect their donor database with the best-in-class systems they are already using such as MailChimp, Quickbooks, Eventbrite, and more. "Kindul saves us time and makes donor management much easier!" Kindful's user interface is easy to work with and not intimidating for my staff. It is quick to find the information I need. The donation pages are beautiful and allow donors to pay for the fees, which 70% pay, saving us a lot of money. The support staff is very helpful and quick to answer questions. I have not been crazy about the mobile interface, but the new (March 2019) donor profile page redesign has made that better. I still wish they had an app that was easier to use on the go. I would like more customization of the donation pages. Sometimes it is difficult to pull the right information in a report the first time. There are many reporting options you just need to find the right combination. You owe it to yourself to get a demo and learn more about it. It's a great product and I enjoy using it. Plus the team behind it is great. One of the biggest is letting donors cover the fees. That pays for the cost of the software. "Empowering a small non-profit improve fundraising and donor management"
Kindful is easy to use and track donations by campaign or by fund. You can setup color scheme preferences for all donation pages or you can customize each and every one. Kindful pages are clean and the Dashboard as been recently improved to really help monitor donor management such as donors that have upgraded giving, retention rates, activity on recurring donations, etc. The Kindful on boarding team was extremely helpful in assisting me setup my donation pages, multiple campaigns, and making sure all my data was successfully transitioned from my previous payment gateway. Making the switch to Kindful has made it much easier for us to manage donor relations and also get better reporting by each campaign. Some reporting features could be improved to make sure you can download actual donated funds that do not include refunds or canceled payments. While you can get customer support via email, I wish my monthly fee included at least some webchat or phone based customer support without an additional fee. The Kindful team is very nice, patient, and helpful in getting you setup whether you starting from scratch accepting donations or switching from a different platform. It will help you tremendously in monitoring your donations and communicating with your donors. Kindful has vastly improved our ability to track donations to specific campaigns / funds and make changes to donors' recurring donation plans with ease. Donors can make changes themselves or we can through administrator access. We are more equipped to accurately monitor our donations to each donor and improve our communication with them. Having good data readily available is tremendous. Reports and donor information are easy to access and share with the Team. I signed up for Kindful primarily because it plays nice with other apps. I use the Stripe, quickbooks, and Zapier integrations. But I find more and more I use campaign embed buttons in fundraising and rely on Kindful itself rather than the integration. Kindful is a bit slower changing than some software companies, so what you see is what you get for a while. I would love to see an integration with campaign monitor, my email provider. And I would really like to see question options on the embedded donation form. Good data. I rarely touch a spreadsheet these days, which is amazing! When my accountant has a question, I can have an answer in 5 minutes. I know exactly how we are doing financially at ALL times. That’s huge. "A Wonderful Resource For Any Size Non-Profit"
What I like best about Kindful is how well-thought out the database is. The structure is easy to navigate and helps organize more than just one type of data. From Kindful I can easily see who is giving, what they are giving to, whom they are associated with, what group they belong to, their giving record, and more. The number of integrations available is simply amazing - if Kindful doesn't have it, someone else they integrate with likely does. The only thing that I could say I dislike about this product is that it is a bit difficult to access information from the database when not at a desktop. There is not app that I am aware of and when using Kindful from a mobile device, the screen appearance can get a bit clunky. "From Introduction to Implementation, Kindful = Stellar"
The staff of Kindful are full of energy and motivation and smarts. They know their product, and are open to changing it for the better. Any question or concern I have is readily answered; any issue is never left hanging no matter how long it takes. They want you to succeed. If you want a company that cares about your success, one who will spearhead change in the non-profit organization industry, and one who also likes to get to know you as a person, go with Kindful. They are very smart and endearing. My company has acquired another that has been using 1990s business philosophy. Kindful has injected their mentalities with the technology (and ease) of today. We've literally gone from almost everything manual to almost everything automatic... it gives the managers more time to actually manage. I appreciate how easy it is to edit a transaction if needed & the price was right for us. Also tech support is included in the price and very responsive. A lot of feature feel unfinished and many things are not intuitive. I wish they had an active community forum get real world examples of how people are using it. 1. there is no way of knowing which "tags" will work properly when you set us a receipt or letter template. If you choose the wrong one text will be missing from what gets sent out to your donors. 2. Causes, which allow you to set up teams to raise funds for you, are confusing to anyone not familiar with kindful already which makes it hard to get others to use it. 3. You can not self import in kind (non-cash) transactions. If this is the first time you are using a donor CRM see if you can get a trial run and import real data. Use it to practice setting up letter/receipt templates, causes etc to make sure it will really do what you need. Having a central database to track donors & contributions. "Kindful is a joy to use and lovely to look at"
Everything! The dashboard is great, easy to scan for reference to how we're doing compared to last year etc. It's easy to manage individual donors and organization donors, and to link relationships. The acknowledgement reminders are useful. Queries are straightforward. Easy plug-in buttons for our website. Easy to set up new campaigns. We do not have enough donors to enter this month! See if you can find someone in your network who is already using Kindful and go look over their shoulder! If you have any questions once you are using it reach out to customer service, they are quick to respond and solve puzzles speedily. prior to this there was not one cohesive system for tracking donors and generating campaigns, now our fundraising is more streamlined and more effective. "Great NonProfit CRM - Easy to use"
Very easy setup, easy for donors to update information. Kindful does a great job of covering the 95% + of things you need a non-profit CRM to do. It does lack the ability to highly customize certain processes, but is great for the majority of processes. They also build webhooks for connecting with other non-profit systems. The ability to make mass updates to information via an importer is lacking at this point. The Importer is great for new information, but not for updating information. If you are looking for a highly customized system for complex processes, Kindful may not be the best fit. For the average small non-profit Kindful is a "must-see". Having a system of record for our donor base as well as giving our donors an easy way of giving and updating their financial information. This has been especially helpful for our non-profit as we are built off of recurring donations. We needed an easy way for donors to update their credit card information, and Kindful was great for this while also replacing our old CRM. Thanks for the wonderful review! We're honored to hear you guys are experience success using Kindful. Your review was all spot-on. We try to accomplish so much, but the things that other people do better, we leave up to integrations with industry leaders (as you know). But we're glad that we could accommodate that 95%+ of things you need a database for! Thanks for mentioning the webhooks and the importer. The former is good for us to know so we can continue to offer and expand on our webhooks and API abilities, while the latter is great feedback for us to improve. Their CRM features, filters, donor management etc. are great to use and very helpful. The platform links to all of our payment aps and email platform. This allows us to streamline and track activity across all of our aps, making tracking very easy for us with a number of donors that interact with us across many different platforms. Their non-team peer to peer fundraising platform was not compatible with for our fundraising strategy. I believe this issue to be unique to our company and audience. We used the peer to peer once for a team activity with over 100 teams with 10 individuals per team. The tracking was very easy but that was about it. The peer to peer capability was helpful with other strategies we have executed, just not useful for all. Take your time. There are a lot of features that can help you accomplish many tasks quickly. Setup takes time, so do not get frustrated. Donor management, engagement, and tracking are all solved with the CRM platform. No more spreadsheets and countless inputting of donor information. Kindful solves all these issues and allows for quick reporting and easy tracking of all donor information. Thanks for the glowing review! We're glad to hear your nonprofit is working well with Kindful. We focus a lot on making sure the app is robust enough to cover a lot of ground, but accessible enough to approach without a learning curve. It sounds like that's been your experience, and we're honored to receive these positive comments from you! I think you did a great job explaining exactly what our platform does. Offering up integrations so other industry leading services can accomplish the things they do best (e.g. your email and payment apps) is a vital feature to us. And you're right – we have tons of features that we try to make broad enough to accommodate most nonprofits, so they're not going to fit everyone all the time. Specifically speaking about our peer-to-peer functions, we'd also suggest looking at CrowdRise, whom we integrate with. They might be able to fit your need while keeping all your data flowing into Kindful! Thanks again for writing in! We're incredibly grateful to support nonprofits like yours. I really like Kindful's user-friendly interface. I really love how the new menu is so easy to navigate. Everything in the menu makes sense. I dislike the way filters work in Kindful. I think that they should be more customizable. There should also be some way to show what each filter does. Be patient with the support staff. They are all really nice, but they sometimes don't read the whole email before responding to you. Their information might not be helpful until you clarify, but they are normally able to help with any issues that arise. We use Kindful to keep records and financial information organized. We also use it to keep notes about communicating with donors. "Best, especially for the price." Kindful keeps all of the personal data for our donors and supporters and their contributions clear, easy to access, and easy to input. The experience for online donations is seamless - from accepting a gift to acknowledging the gift, we don't have to do a single thing for it all to work! I also really appreciate the integrations, and while there are some quirks - we connect to a number of other services [with Kindful as the hub of donor information] and are able to meet all of our needs. There are some small areas like collecting multiple email addresses or physical addresses that feels clunky [we either have to choose a single data point to keep or create a million custom fields]. And if you're looking to primarily use it for major donor moves-management, then the tasks features don't have as much functionality as I would wish. We're a small staff, and Kindful automates enough day-to-day tasks that it takes a lot of work off our plates. The integrations also allow us to keep our information in one central hub, but also take advantage of other platforms that are more tailored for specific uses [MailChimp, CauseVox, Fundraising Report Card are my favorites]. "Great software for the price!" This system is great for the price. Their new update makes the dashboard easy to pull data from and see an overview of how your nonprofit is doing. Kindful makes it easy to keep track of donor data and see an overview of how your nonprofit it doing. Connecting to Quickbooks also makes entering donation data a breeze. Search functionality could be improved, as well as their contact duplicate finder. It is frustrating to have so many different options to search for, yet they never seem to be exactly what you are looking for. The contact duplicate finder also does not work incredibly well. Contacts with the same zip code will be pulled, but not with the same first and last name. Kindful does come with a learning curve. Once you get used to it though, the system is pretty user friendly and the support staff are more than willing to help and answer any questions you might have. If you are going to sync with Quickbooks, be prepared for some transactions to accidentally duplicate (especially if you use PayPal as a online payment collection source). This makes it easy for us to see how our organization is doing and track donors. "Kindful has changed the way we engage supporters"
We love that Kindful is affordable, super easy to use, the numerous integrations with other platforms, and its visual appeal. Kindful's user-friendly platform makes it difficult to customize to an organization's specific needs. Some other platforms are more clumsy, but allow users to create their own fields (which Kindful allows) and run reports on those fields (which Kindful does not). Kindful is great--especially for smaller nonprofits who do not have the time and resources to mangage all aspects of CRMS, and donor databases. The integrations make life easier, allowing more time to be spent serving clients. Highly recommend! Kindful has been transformative for our organization. We are now able to track donors and donations, view more succiently our overall development portfolio and progress, and communicate/better engage with our supporters. We can send tax summaries with a click of a button, can track inside the database if our emails were opened--it has been a game changer! Kindful has been useful for tracking donations, producing useful reports, sending out tax receipts and for collecting online donations. Since taking over in my position at work, I have also begun to sync it to Quickbooks which is very helpful as well as use it for sending letters to donors. I have had multiple issues with various aspects of the software, from Quickbooks syncs not working properly to the letters not formatting (and only downloading in PDF format so no corrections can be made in order to print). I also don't like the frequency that the system logs you out (especially since it cannot sync with Quickbooks if it does). I also don't like that it can only sync with Quickbooks once an hour. We are able to run reports in order track donor giving better as well as to be able to produce clean tax receipts. "Kindful - Wonderful DMS for your non-profit!" Kindful is constantly rolling out new features. Whenever we've come across something, they've either already fixed it or add it to their queue. Also the layout and design of their platform is beautiful. Some features can be a tad tedious. They introduced a new filtering system that took some time to learn, however it's much more powerful than their old system. Being a small company, they're still growing and improving, so things like multiple users performing heavy data tasks can bog down the system sometimes. Definitely consider Kindful! Dig deep to see that they'll truly meet your needs, but I feel assured that they've thought through all of the donor management challenges that non-profits face. Before Kindful, we were managing all of our donation activity and donor information through spreadsheets. Now, we're quickly able to pull specific sets of data for analysis, prepare mail merges, marketing campaigns, etc. One of the biggest benefits is being able to see a donor's profile which includes things like their giving history and interactions with our Emma e-blasts. "Friendly User Interface, but Feature Set Lacking"
The user interface is fantastic and is much more modern than most donor management systems. The donation pages are beautiful and very easy to set up. I find that most donor development CRM's suffer from a complete lack of automation tool sets and Kindful is no different. At the end of the day, Kindful is only a simple CRM that can take donations. The analytic dashboard is poor in that you can't the date range of the stats, which makes it very difficult to track trends to gain insights (which is kind of the point of the dashboard in my opinion). We regreted paying for a full year in advance and have completely abandoned the system. We still have not found a great donor management system that is as capable as come of the CRM's in the small business market like Infusionsoft. The customer service is also sub par. They don't do trail's, so purchase a month and play around with it before you pay in advance for a year. We are simply trying to better manage our relationships with two very different categories of donors. The first are large donors and the second is small donors (under $10k in donations). Following up with each of them is very different and we are specifically looking trying to figure out how to follow up more automatically with small donors. "All in one, All accessible wherever you are!" We like that we can have all of our donor information, history, notes, contact information etc.. all in one place and all accessible wherever we are. Kindful integrates well with Stripe and Mail Chimp, two services that we use. This was easy to setup and get working. From the external user's point of view, it has worked very well. Although Kindful does not have a mobile App, I have found the response design to work well on my phone. The support team has been helpful and responsive. The custom branding gives our donors assurance that they are still donating with us, even when they conclude their donation through the Kindful interface. Since Kindful has a lot of features, a solid online training time would have been helpful as we started so that we could have a more custom session based upon our particular use, integration and development. There are times when we have specific questions that are not found in the support material. Although the support team has been helpful, sometimes it is easier to have a live conversation rather than a trail of emails back and forth. Kindful is also cloud managed so it can lag a bit when it is loading searches and reports. We are a small non-proffit and Kindful is allowing us to have a much more seamless and integrated donor receipting, tracking and appreciation system. Our younger donors have easily adopted to the recurring donations. Team is responsive and constantly updating to improve the system and address concerns. Great ways to connect/leave messages for others working with donors within Kindful and keeping track of what has been done. Linked customizable donor page is fantastic. Having Kindful search for records that I need to address is helpful - I have it look for new recurring donors. It tells me when someone sets up a recurring donation and then I verify that all is set up according to our protocol. - so helpful to have Kindful look instead of doing it manually! Quick reporting to see how much money has been given to various funds or campaigns. Friendly and helpful tech support with very handy help button to send questions and attach copy of the URL that initiated the question so that they better understand what you're looking at and need. Price is much more reasonable than eTapestry was for us. The biggest weakness in Kindful for me is the reporting system. Although there is a lot of flexibility to the system, I still find myself creating reports that I need to manipulate in Excel in order to get the answers that I want. eTapestry had a better reporting system even though it could be very confusing and difficult to use. Kindful has awesome potential and I like it, but it still is a program that is learning it's ins and outs - still making and needing updates to make it work better. Sometimes it feels like I'm working on a beta system. That said, they are making changes and the price does compensate for some drawbacks. We use Kindful to keep track of donations and how various appeals are generating revenue as well as to which project donors are giving. I also use it to create reports for marketing, development, administration, executives, and for import into our accounting software. The interface is modern, elegant, and easy to use. It's packed with features that are very useful to nonprofits small and large, and it interfaces well with other tools such as Eventbrite and Mailchimp so that we can use the ideal tool for each task. It has attractive donation pages, including user accounts for donors to see their donations and update payment methods, etc. For a volunteer run small nonprofit where everyone has other jobs and responsibilities, Kindful has made donor management very, very easy. They also keep improving it. Lastly, it has a really beautiful dashboard with useful information displayed in an easy-to-digest manner. It seems pretty expensive for a small nonprofit, but not prohibitively so. At the time we were researching our options, we compared, and evaluated, the top contenders offering modern, beautiful, and feature packed donor management software. Some SEEMED to offer more functionality Kindful, and while it was attractive to have an "all in one" solutions, actually using the software revealed that while the all in ones can do a lot of things, they can't do anything really, really well. Kindful does what it does very, very well, and perhaps the most powerful aspect of Kindful is its ability to work with other tools (Mailchimp, Eventbrite and others) that do other functions much better than Kindful likely ever could. It's a great product that really makes like easier for small nonprofits like ours. Before Kindful, I had used several other similar products, but found they had major flaws. Either they were too clunky and difficult to use, or were missing valuable features (like auto-generating year end giving statements), or were geared for massive organizations with so much complexity that it just wasn't user friendly. Some had more functionality ( such as email management, event management), but none of the features really worked that well - they were trying to do too much. We are a small nonprofit that is not necessarily attempting to grow into something much larger. We have limited time to give to the nonprofit, so we needed software that was friendly and easy to use, had a powerful feature set, and integrates well with tools that are the best at what they do. Kindful tracks all donations, whether credit card, PayPal, or through Eventbrite, issues donation receipts, auto generates year end statements, has beautiful donor profiles with donation history, payment method management, and all contact info (a true donor-focused CRM system). It has nice reporting and basically does the things you would hope a donor management system to do, and it does them very well. It allows us to simply focus on the running of our events, not have to spend time generating donation receipts or giving statements, have our volunteer/donor base centralized, and still use the best software tools for other tasks, such as Mailchimp for mailings and Eventbrite for event management. "Kindful has been wonderful to work with "
The reporting features are one of the best parts in my opinion. When it's time for a board meeting, I simply pull the development report and I'm good to go! Also, the custom reporting based on activity has been crucial. Tracking down donors throughout the year has been a lot easier because of this feature. The QuickBooks sync has been a troublemaker from the get go. But I adjusted and do offline donations now. I would recommend being very organized in the way you upload your data. I wish we had done this from the start, but as a small staff we really just needed to get thing started. Make sure you tag gifts, put contacts into the correct groups, and really check for duplicates. All of these things are made possible in Kindful. This is our first CRM and it has really helped us with donor relations. We've been able to regain lapsed donors and work on retention. "Great costumer service, user-friendly interface"
Kindful has amazing customer service. Their staff does a great job. We had an issue at first with our data import, where the data from our previous system was not matching up with Kindful's system. Kindful helped us tremendously with this problem and ended up solving it for us while staying in constant communication. I also like how clean the campaigns look and how easy they are to use, on the admin side and the user side. We have seen our online donations increase, simply because the donation software is more appealing. There was that problem with our import, which was frustrating, but they helped us solve the issue. Other than that, I was there was more customization with the donation page and the cause pages. Take some time to really get to know the system and build it out. You can't continue to do all your other work and then just find some time for it. Really learn it and utilize it and you'll be better off. We are receiving more online donations. And the reports we are able to run help us segment our audience and target them. We are especially aided by the integration with Emma, where we can send emails to people based on the Kindful reports. "Great software for a non profit. Excellent customer service. Once you join, you join a family!" World Class Customer Service. Many times companies sell product and then they forget you. Kindful team is with you every step of the way. They accommodate every reasonable request you have and go out of their way to help you. Software is well thought out and yet very simple enough to use it. Loved the simplicity of the product and ease of use. With little technical knowledge you will be able to get up and running. The social media engagement is really good. This is not dislike... I wish they were there. Look no further. Start with trial. Get all your answered. Then sign up. Once you join the KINDFUL you got another family. They are very prompt to answer your question. They have the WORLD CLASS customer support. The price is very reasonable. We are a non profit Organization. One of the humanitarian projects that we are engaged is to provide clean drinking water to the people in third world countries by digging the wells. This software helped us to bring all our donors to one place and see their involvement in our work. The Social fundraising is so much help. I am hoping to use it at the maximum. "Helped us organize our data"
This is a very user friendly database as compared to our old system. I like how neat and simple everything is, and they partner with most of our other tools as well which makes it a great database for our non-profit. I wish I would have understood how to organize our data before we uploaded it. Also, I think some of the communication features to make automatic are tricky to learn. Make sure you have all of your information you need before transferring your data. Maybe have a trial before giving all your data. It is great but it is hard to filter once you go live with all of the merged data. We have people buying products, participating in events and donating. This system is helpful to see each contact and what their involvement is to better target our contacts and communicate well with them on their desires. I love how accessible the Customer Service team is! They respond quickly and their many helpful articles provide many of the answers you need. It's not always extremely user friendly and requires a major learning curve. This is a great company that is continually growing and improving its product! There is a learning curve to start-up but it is the best product for its price and the only one accessible to small companies and non-profits which so seamlessly combines Fundraising and CRM! We are a small non-profit aiding those in need around the world. We needed a giving system and CRM that wouldn't break the bank! Kindful meets our needs and their team is incredibly helpful. It is so convenient not to manually pull giving records and to ensure there isn't much room for user error. We want to protect our company, grow our donor base, and make a great impact! Kindful has helped us make a way for those things! We appreciate your feedback! We’re pleased to hear you’ve had a great experience with our Customer Service team, and the convenience of our product. If you ever feel you need additional training or support, we do offer live webinars every Tuesday, Wednesday, and Thursday. These webinars cover topics from Getting Started to Advanced Filtering. You can chime in with specific questions during these webinars and our support team would be happy to assist you! Our Kindful team is excited to continue to make our product even greater and serve as a resource for your organization as you grow. "Great for Donor Relations and Payment"
I love that it is easy to set up a donor, add a form of payment and charge the card within 5 minutes. Creating reports: you really have to understand the filters and really think through all the details when making a report. If the report doesn't have what you need, you have to start over. Great to track donors/donations. Great to set relationship between businesses and business owners. Great for Donor Relations, and easy and quick enough to use while on the phone with a donor. Great for reporting and for hosting a run/race, or fund raising for specific campaigns. "Great CRM for small and medium sized nonprofits"
It's a cost effective, full featured CRM. The social fundraising pages are a big plus. Not the easiest to use actually and some of the great things (social fundraising pages) don't allow for reporting or custom communications (right now). Pay for the extra help to get it set up properly from day one. Read the support articles. Watch the videos. For small and medium-sized nonprofits, finding a CRM that can track and manage their data in a cost-effective way is tough and I think Kindful does a good job there. The integrations with Stripe and MailChimp are very useful and the peer to peer pages being integrated into the CRM is very handy. So while I'm not a big fan of 'all-in-one' products, Kindful is about as good as I've seen and for those small and medium-sized nonprofits it can be a very valuable tool. Process automation (Mail merge) is a great feature. Integrations with other services (Emma, Eventbrite) sometimes require extra legwork on back end to correct syncing issues. Make sure your data is correct. A database is only as good as the data in it. Be willing to explore your business processes. Kindful can help make them easier if you are willing to do something different. Our old system was created in 1986 and doesn't even work on our current computers. Kindful is constantly growing and getting better. The process automation saves a lot of time on an ongoing basis, but requires a lot of work on the front end to make sure it works right. The time saved is key though. Being cloud based allows us to utilize database features from outside the office which we weren't used to before. Set aside the time for training staff who will use it routinely. We are entering all our client, Service Dog, donor and volunteers into Kindful - a SINGLE database for all. "Kindful has made my day-to-day significantly easier." It's intuitive and logical for users to interpret and understand their donor data. The plugins within the system are also very easy to implement. My favorite feature is the peer-to-peer campaign builder; it's wonderful to be able to manage a fundraiser within your donor management system. Its mailing generator needs more address tags. Kindful makes it easy to compare donor and campaign data. It's also simple to create campaign fundraisers through the program, which made our last fundraiser a huge success. Overall, I've been very pleased with the numerous ways I can look at our nonprofit's numbers and how I can utilize the built-in features to maximize our reach with donors. "Exciting, customizable tool for depicting true picture of organization"
good support team: excellent response time when any of our donors have an issue. support from Kindful when issues arise has become increasingly slower. we are a fiscal sponsorship fund managed by an umbrella 501c3 so we must manually enter all transactions into Kindful. Slick user interface, great customer services, amazing ability to pull data from the internet on donors (like social profiles, pictures). Speed of the system is really slow, some basic filters and search capabilities are missing, recurring transactions management is a pain. We ended up switching away after 4 months because of issues with recurring transaction management, so if recurring transactions are important to you, you may want to really explore that feature in trial phase. Effective donor and donation management is the key problem we were trying to solve. While Kindful gave us a lot of great insights into our donor data, the inability to effectively process recurring transactions within Kindful made it a no-go for us. As an organization that uses a considerable amount of volunteers, we wish that there was a volunteer system built into Kindful. We have had a fair amount of trouble with the import of our data as well. Make sure you get all of your data imported correctly. Our data was not all imported correctly and it has been a headache to figure it all out. So take the extra time to go through all of your data. We are able to procure online donations more effectively because of the simple donation pages that Kindful offers. "Amazing customer service and a truly outstanding product!" The staff at Kindful are second-to-none. They are knowledgable and truly check-in with you throughout the process of set-up and later as you might have questions about functionality or how to use. Nothing to dislike! This product is wonderful! We were able to gather ALL our donors into one VERY robust system, ready to grow as we do! One of the best things that I like about Kindful is that recurring donations are automatically processed at the interval the donor selects. This was a big step up for us from our previous program and honestly one of the major reasons we switched. I also like viewing all the campaigns and funds for the year at a quick glance, as a chart and a list, in one of the tabs in the reports section. Another positive note is that donors are able to log-in to their account to view and edit their information, view their transaction history, and print out their yearly tax receipts. Kindful is not really set up for memberships. I wish there was an easier and better way to track membership levels and funds for membership. If we were easily able to have the system calculate the giving levels for certain campaigns and assign donors to the correct membership levels, it would definitely enhance our use of the system. Another major downfall of the system for us is that donations may not be linked to the correct record and we as users have no way to adjust the error and move the donation to the correct record. Kindful prefers we refund the donation and ask the donor to make the donation again, which is simply not acceptable, especially for non-profits. Make sure you consider all the features you are looking for before you consider switching. One of the best benefits we have with Kindful is that the recurring donations are processed automatically. Donation processing will not be held up if the employee that would process these donations is out one day. This also means that the donor can reliably count on the donation being processed on the specific date that they have chosen. The system also allows donors to sign in to update their credit card information. This is extremely helpful for us. "Great product - Still learning the ropes"
Once I figured out where the tabs and menus I needed were, I found Kindful very easy to use. I started learning the program before the interface switched to "Kindful 2.0" so it took me a bit to navigate the changes. But once I figured out where everything was that I needed, it was pretty simple. The chat function is great and I like being about to generate reports and graphs to track our donations. It's been incredibly helpful as I learn my job and the inner working of the organization I work for. Honestly, the switch of the interface was the most frustrating part, but it didn't hate it. From an aesthetics stand point, the new version looks much cleaner - I was just bummed that I had finally figured things out and then had to re-learn everything when it switched to Kindful 2.0. I don't have any major dislikes, though. I'm still learning which features are beneficial for my role and which ones aren't. This software is great for non-profits. We're able to keep a database of volunteer information, volunteer activity, as well as donations. From that database, we can generate mailing lists and reports for administrative use with incredible ease. I haven't been in my role very long, but using Kindful with my organization has been a tremendous help to see the "big picture" of what we have done and currently do. I feel like I learn new parts of the program every time I use it, which is also exciting - There's so much to it, but not in a terribly overwhelming sort of way! I work for a non-profit and we use Kindful primarily to track our donations and volunteer activity. We don't really have any "business problems" that we're trying to solve, specifically with Kindful. But we do really like how we can print mailing labels, generate reports, track donations, and merge previous records pretty effortlessly. It's made our jobs much easier having everything streamlined. I really like the fundraising pages that Kindful allows you to set up. Each campaign can have their own unique URL with a customized photo and a very simple step-by-step way for recurring donors to set up their giving accounts. Kindful asks donors if they would like to cover the transaction fee. If the donor marks yes, they agree to cover 3% of their stated amount. For example, a donation of $50 incurs a fee of $1.50. However, Kindful taxes based not upon the $50, but based upon the $51.50 and the donor's coverage of transaction fees doesn't even out, behind the scenes, to what the recipient is actually paying per transaction to kindful. As a sect of the non-profit that is using this program, I am not personally solving any business problems. There are occasionally some kinks with running reports, but it's typically something that our staff are able to figure out on their own. The thing that drew me to Kindful in the first place was the ability to have as many users as possible on Kindful but not charged additional for it as well as the ability to run social campaigns through the site with not having to purchase additional modules to be able to run a crowd funding social campaign. We mainly thought we would try it out b/c we mainly needed it for donor management and not as much for gift processing and transactions. Our website registration process does that for us and actually has lower transactions fees that paypal. But we also liked that it integrated with other systems that we already use: MyEmma and Eventbrite. It seems like some basic user ease features need to be in place or added or put BACK in. For example, before a system update happened in the fall of 2015, you could go to the contacts page and search by alphabet. So if i was looking specifically for someone with the last name that started with M, i could click the letter M and see all of my contacts with the last name that started with M. For some reason, with their update, they took that away and you have to search by filters and it just isn't as user friendly AT ALL to me. Also, if you were to filter all last names by the name of "Smith" it doesn't put them in alpha order which also isn't as user friendly. I do however feel like they are a newer and growing company and will continue to make changes and updates to make this a better and better system for donor management. My one other qualm is in report. They have made it easy to have some pre-set reports but you also cant add or subtract on those pre-set reports. Also, creating a report from scratch with exactly what you are looking for isnt easy. Wish that was a little easier. But again, this is a new-ish company and relatively new product. I believe they are continuing to grow and make things better and make changes to continually be competitive with others. great product continuing to make changes, grow and be better for the development staff. It is a great, affordable donor management software that has some of the same capabilities as others. It is new and growing and relevant. They have wonderful customer service and have made their software with the development staff in mind. "Human Services Organization using Kindful"
We recently moved from Salesforce to Kindful because the product was easy to use, seemed intutitive and we liked the concept that create system that is easy to plug the best in class products out there into Kindful instead of trying to use proprietary products that are not as good as others on the market. Their integration with quickbooks is very limited and some of the user experience for our donors was not well thought through (crowdfunding tools and their stock giving page) in our opinion requiring us to build a custom giving page at an added cost. There are better data bases out there but many of them felt "over built" to us. They seemed to be very robust but with that came a great deal of complexity which made them harder for us to use. We felt Kindful was a happy medium - not so overbuilt that it was hard to navigate but enough of the essential functions that we had all our bases covered. The issue we were seeking to solve is to have a relationship management system that was easy to use for our team and facilitated a decent user experience for our donors. I like that you can set up campaigns that allow peer to peer fundraising. Once you become familiar with the platform, it is very easy to use and to maintain. You can export most reports as a .csv which interfaces with Excel so data is easy to manipulate. There are lots of help videos to teach you how the system works. The pricing is also pretty good but we got an upgrade deal when we added Kindful. That you can only import data in once. That we have the same capabilities with Network for Good with regards to events, campaigns and peer to peer fundraising. That it is not a user friendly system. it is not easy to pull the data in the way you want it and the process to export it to excel is antiquated and cumbersome. That it is not easy to add a lot of new contacts after the first data dump in. That with our renewal the pricing may not be so good. That pulling data by dates many times gives you more data than you specifically asked for. The help site is not contained within the system. I feel most of the time I can get the data and reports I want easier and faster from an excel spreadsheet than this system. We have all the contacts and giving information located in one system. We can easily add transactions and contacts to the system as needed. We can conduct campaigns that allow peer to peer fundraising. We have been able to raise more dollars with the peer to peer fundraising ability. "Good startup platform with quick and thorough customer service"
Kindful has been a good platform for our startup non-profit because, 1) as we continue to learn the system they provide quick responses to our questions, 2) it has the versatility we need for a variety of services (integrations and functions), and 3) the interface is easy to navigate and visually pleasing. There are details that seem to make navigating a bit frustrating. 1) We have multiple campaigns and upon editing and saving changes in a campaign, it automatically reroutes to the campaign home screen (where all the campaigns are listed). When making small changes and needing to verify it before moving on, this can be frustrating. 2) When is a campaign is disabled, usually because we are no longer raising funds for it, it's no longer possible to sort donations by that campaign. We can look donations up individually (the records are not erased) but we can't pull them in one search. Kindful is a good organization for startups because of their customer service and the assistance they provide to those still learning the system. 1) It's been very helpful to set up relationships and, for us, see on one list a member's donors via the relationships. 2) The customization options allow us to add fields for needed numbers or things we track, which largely comes into play in running reports. 3) We often use the report section to pull summaries for review and as part of our decision making process. Kindful is catered specifically to nonprofits, so they're constantly adding new features that are useful to us and we don't have to do any custom work like we would have had to do w/ Salesforce. There are some things we'd like changed that are taking them some time because they're a smaller company and have lots of tasks in their pipeline. Sign-up for Kindful! It may take you a little time to learn, but will save your organization time and increase your effectiveness. We're much more quickly able to pull reports to analyze data and make decisions to move the organization forward. "Great Donor Management for Smaller Nonprofit"
Easy to use and always adding features. Plug it into stripe and you have a very well-featured CRM and online donation system in minutes. Replaced a much more expensive and clunky system with really great results. It's newer, so less community and documentation than I would like. Kindful is a great place to start for a nonprofit CRM and may very well meet all of your needs. Donor management, fundraising, online giving. I successfully implemented this for a small nonprofit shelter and it has been really easy for them to maintain. Also love that it integrates with Stripe, which is a great low cost payment processor. Kindful is easy-to-use and pretty intuitive. Their customer service department is very responsive, They answer questions in an easy-to-understand manner. They also listen to recommendations that customers make and try to implement them in future roll-outs. Kudos to the Kindful team! We really like using them as our CRM! I would like more drop-down options or at least the ability to create our own drop-down items. We are a service organization with many donations and member dues coming in a monthly basis. I love that Kindful tracks all of our donations. I can also enter donations manually which then feed into our YTD income reports. The user interface and admin interface are clean and modern. not as customizable as i would like. We have some trouble getting info that we want and we have to manually edit data pulls every time because I'm not able to get the data exactly like i want. "Excellent Donor Management Software for Our Small Non-Profit"
Excellent, responsive customer service. Kindful almost always responds within 24 hours when we have issues surface, even though we are one of their smaller clients. Still some bugs with latest release, but you have to love the way Kindful is constantly improving their software, and the improvements far outweigh the bugs. Highly recommend Kindful, especially for small non-profits looking to make better use of what limited resources you have. We can much more efficiently and effectively manage our donors. As a small, primarily volunteer organization, Kindful has enabled us to better use our limited resources. "Great product, even better customer service!" I love the modern, intuitive interface. It's very easy to navigate and enter donations/records. I also like working with a local company who is passionate about their product and is continually making it better. I would like to be able to view more information on the donor profile page without having to switch to the "Activity" page. I also wish there was a little more flexibility with the fundraising pages. I would definitely recommend Kindful. Just reach out to their support team if you have any questions or concerns! We had to solve the issue of having multiple organizations under one parent organization. Kindful makes this possible by offering their "Chapter" system. That way each of our donors can interact with the brand that they're familiar with. Also the integrations with Quickbooks and Emma are a significant advantage for us as well. "A Good Solution for a Think Tank"
Kindful's user interface is very graphically appealing. It is easy for us to quickly manage various aspects of gift entry, contact updates, etc. It can sometimes be difficult to generate and pull reports. It would be useful if Kindful had some built in reports that organizations could use as a template and then tailor to their needs. It is also VERY frustrating that we are unable to fully delete contacts. As an organization, we are fully capable of deciding who should and shouldn't remain in our records; this should NOT be up to Kindful. It almost feels like a bit of a scam that we pay based on the number of contacts, but then can't delete them. We use Kindful as a supplementary database. Our parent university uses its own database, but doesn't allow for on-demand reporting. It has a clean user interface, it's easy to onboard others on using it, and robust CRM functionality. The platform is lacking in necessary fundraising areas, including embeddable donation capture widgets, lacking fundraising pages, and notifications when donations are received. They also have poor customer service and no notifications related to fees. The sales rep completely oversold the platform and hasn't budged in delivering us a refund of any sort. I will not recommend Kindful because their customer service and transparency is very poor. We have not enjoyed working with them. We're a nonprofit leveraging kindful to track in-kind and financial donations, but have found that we're better off leveraging a separate CRM platform and hand-coding our donation needs, which is frustrating considering the level of investment into Kindful. "Full featured, modern UI, easy-to-use, great support"
I like how easy it is to onboard new users because of the easy-to-use UI. I'm not as big a fan of the way everything is report-driven - it's a different paradigm that makes it a little more cumbersome to dive into details. We needed to move from Excel as our primary donor "database" and be able to engage with our donors on a more proactive, consistent basis. Kindful has added so much insight into our donor base while making the administration of it super easy. "Not quite up to snuff"
The customer service was, well, kindful. The design is definitely on the right track – overall it's a good human-to-human user experience. Perhaps it was just the four months we were using it, but the software itself needs re-engineering. In that respect, the user experience was dreadful – I received 404 errors constantly for most of their most basic, built-in reports. Results in general were slow to load even on my super-fast computer (which is a huge problem if you are on the phone with a donor and need an answer immediately). Despite hours spent with the instructional guides, videos, and online help, I couldn't seem to figure out how to refine reports to produce the most simple results (i.e. who are our current members? ), and I seemed to get divergent and incomplete results with every try. Custom fields were limited and not helpful during the import process and we had to lose some data. Exporting results for mail merges and analysis was a 4 step process and often required more than 5 minutes load time. In sum, it was very difficult to get fast, accurate information on our 800 or so donors. I ended up returning to my original Excel sheet again and again to find the information that I needed – definitely not what we wanted from CRM database service. The database was the primary and most elemental reason for this being the wrong choice for our organization. However, there were many other issues: the crowdfunding module was not intuitive and put a halt on our efforts promoting our big yearly fundraiser. Despite being software engineers and tech savvy Bay Area types who were enthusiastic about the process, our Board ended up opting to purchase separate crowdfunding software. It was unclear at the outset that Mailchimp records would count towards our total records. We purchased the software at annual flat rate of $1200 for our 800 or so donors, but once we imported our 5K mailing list we were charged an additional $200 overage fee each month. We were charged an additional fee for each and every transaction, which threw off our accounting systems and created some confusion (where were these additional fees coming from? Paypal, Stripe, or Kindful?). Our donors were annoyed/confused that they were bounced to a Kindful-branded page to make donations and purchase membership. We couldn't customize the donor-facing page with text to explain the process, since most of the menus and buttons were locked-in. We also tried to cancel subscription memberships and make refunds, and although Kindful indicated that the cancellations/refunds had been successful, the donor was still charged. All in all I liked where Kindful was going with the design and integrations and it does seem that they are constantly making improvements, however the software itself does not seem to be ready for professional use. We ended up switching to Neon. The cost of of the $1200 annual fee was not refunded and the time spent implementing a dysfunctional database was crippling to our small organization, but with Neon's thorough training and highly fine-tuned database we bounced back fairly quickly. Neon offers the added benefit of event ticketing and does not charge additional fees on transactions. It took more time to set up and the design was less appealing, but in the end the added value of Neon's expertise was extremely valuable and the return on investment was palpable. 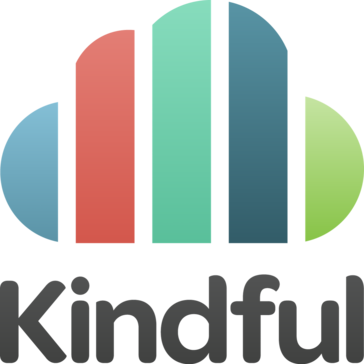 Unfortunate about Kindful, but it's a new service and we should have predicted that it was still in its early stages of development. We needed to track donation histories across 6 distinct campaigns, provide automatic donor acknowledgments/tax receipts, offer a seamless donor-facing experience, and do consistent fundraising for our large-scale events and small scale high-level campaigns. * We monitor all Kindful reviews to prevent fraudulent reviews and keep review quality high. We do not post reviews by company employees or direct competitors. Validated reviews require the user to submit a screenshot of the product containing their user ID, in order to verify a user is an actual user of the product. Hi there! Are you looking to implement a solution like Kindful?